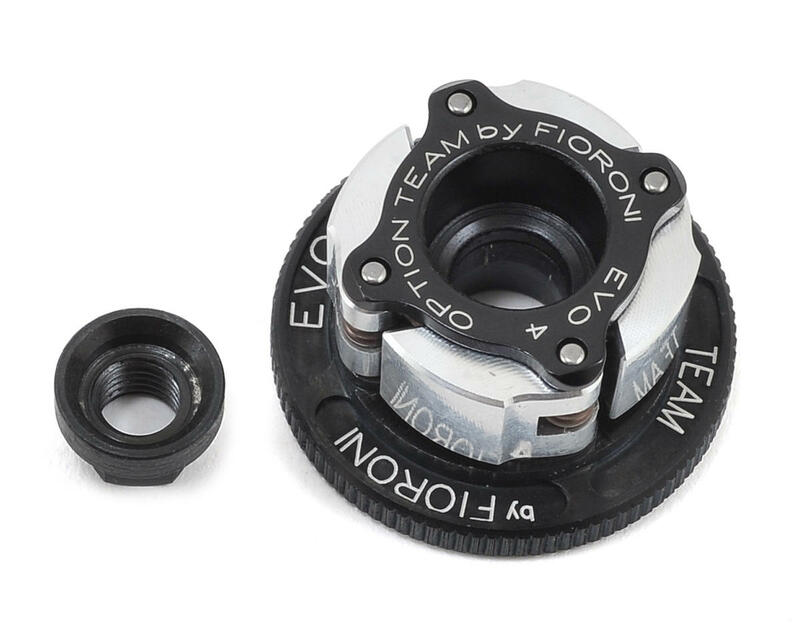 This is the Fioroni “EVO 4” clutch system. 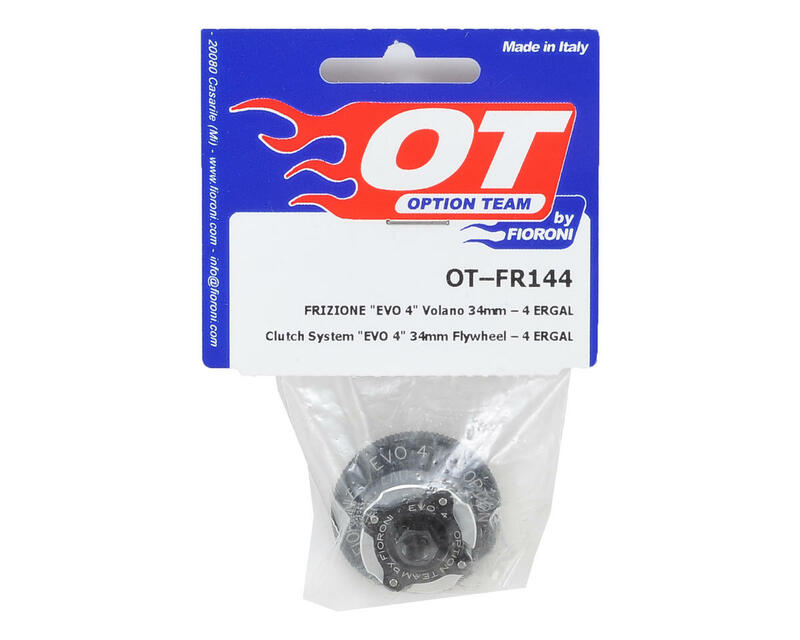 Guaranteed to satisfy the arising demand of a four shoe clutch, the "EVO 4" Clutch System is reliable, durable and features a 34mm flywheel to most 1/8 nitro vehicles. Four 'ergal' aluminum shoes come included and installed, with the entire clutch system ready for installation. Fioroni Ultra Racing Option Team parts are used by top level factory drivers worldwide, because the world’s best drivers will settle for nothing but the best aftermarket accessories. They know that Fioroni is synonymous with precision, quality, and world champion performance, offering durability that can be relied on.